In most federal government contracts, there is the Changes Clause that allows the government to direct changes to the contract. In that situation, the contractor, in accordance with the Changes Clause, can submit a request for equitable adjustment, or REA, if the contractor determines that the change will increase the cost or duration of the performance of any part of the work under the contract. Sometimes contractors experience constructive changes instead of a directed change. A constructive change is not the result of the government directing the contractor to do something, but could be a result of a circumstance the contractor encounters in performing the work. Even though constructive changes are not addressed in the Changes Clause, they are remedied as though it were a change directed to the contract. Furthermore, well-settled case law has established that when a contractor performs work beyond that required by the contract without a formal change order, and such work was informally ordered by the government or is caused by government fault, a constructive change has occurred, thereby entitling the contractor to an equitable adjustment (American Line builders, Inc. v. United States, 26 Cl. Ct. 1155, 1179. 1992). As such, the contractor can submit a REA requesting to recover the additional costs and time to perform this work. Where Should REAs Be Submitted? REAs should be submitted to the person in the government that has the authority to make decisions to obligate the government to financial liability. In most cases it is not the resident engineer or contracting officer technical representative (COTR). Delegation of authority was discussed in the first article Delegation of Authority and Notifications. Refer to that article for more discussion on the delegation of authority. What Happens If My REA Is Denied? In the event the REA is denied or cannot be settled at a lower level, the contractor can elevate the REA to a Certified Claim. The FAR contains a Disputes Clause which provides the contractor another avenue to pursue recovery. If the contract contains the Disputes Clause then it is subject to the Contract Disputes Act of 1978, as amended (41 U.S.C. 601-613). If the contractor elects to submit a Certified Claim under the Contract Disputes Act of 1978, then the contractor must include certification language in that claim certifying that the claim is made in good faith; that the supporting data are accurate and complete to the best of the certifier’s knowledge and belief; that the amount requested accurately reflects the contract adjustment for which the contractor believes the government is liable; and that the person certifying the claim is duly authorized to certify the claim on behalf of the contractor. It is not a requirement to submit an REA and have it denied or be unresolved before submitting a certified claim. However, there is an advantage to submitting the REA first. The costs for preparing and submitting a REA and supporting documentation are generally allowable costs to include in the REA. The costs for preparing and submitting a Certified Claim are not allowable costs to include in the REA. When a claim is properly submitted and certified, interest begins to accrue on the claim from the date the contracting officer receives the claim, but the government interest rates are low. The Certified Claim MUST be submitted to the contracting officer or to the person designated in the contract. The Certified Claim, should be submitted in a manner such that the date it is received can be verified. Certified mail with return receipt requested is a common way to send it formally. A second copy can be forwarded by email, but a hard copy should be sent and tracked. For contractor claims of $100,000 or less, the contracting officer must, if requested in writing by the contractor, render a decision within 60 days of the request. For contractor Certified Claims over $100,000, the contracting officer must within 60 days decide the claim or notify the contractor of the date by which the decision will be made. If the contracting officer fails to notify the contractor of the decision or provide the date in which the decision will be made, then the claim can be “deemed” denied. At that point the contractor has the option to file a timely Notice of Appeal to the Armed Services Board of Contract Appeals (ASBCA) within 90 days of the denial, or to file a lawsuit in the United States Court of Federal Claims within one year of the denial (except as provided in the Contract Disputes Act of 1978, 41 USC 603 regarding Maritime Contracts). Do I Have To Continue To Work If My Claim Is Denied? Regardless of whether the REA or claim is denied, the contractor is required to proceed diligently with performance of the contract. REAs and Certified Claims should reflect the accurate costs that the contractor believes it is entitled to recover. The government has no tolerance for inflated or exaggerated claims. In the next few articles we will discuss how to prepare and price the government construction REA and Claim. Vince – the blogger Reality Bite: Do I still have to work if the federal customer directs me to complete work that is not in the original scope or where they have not provided a contract modification? The quick answer is absolutely. The customer does not want you to use a work stoppage as a means of holding them hostage. However, I have seen instances where the work is clearly not within your scope, yet you are still required to proceed even if it puts your company at financial risk. In such a case you may want to seek assistance from other interested parties such as the Small Business Administration or your congressional representative. Remember, regardless of how some may act, most people in the federal government still believe they are not in the business of putting small businesses out of business. 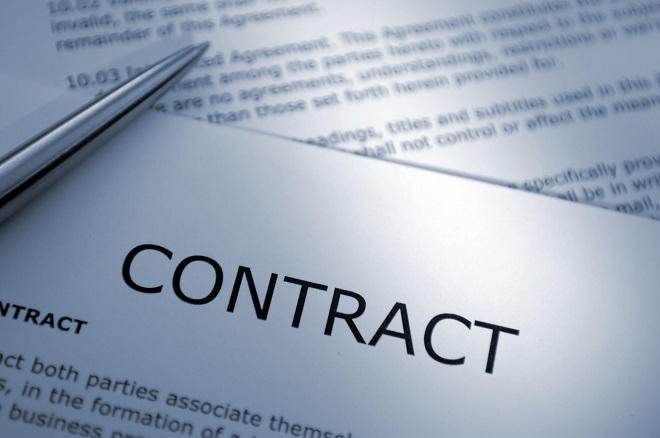 The most important part of a breach of contract suit is the contract itself. The first thing a court is going to look at when it judges your claim is what the contract says. For that reason, both drafting the contract and drafting the breach of contract lawsuit regarding the contract language are critically important to a breach of contract claim’s success. There are four critical issues that can kill a breach of contract claim, and some simple things you can do to keep them from complicating your lawsuit. If fraud or misrepresentation occurs during the negotiation process, any resulting contract may be unenforceable. The policy behind this is to encourage honesty and good-faith bargaining. Misrepresentations commonly occur when a party says something false (such as telling a general contractor that all your employees have been approved to work on a project, but the majority of them are not eligible) or, in some other way, concealing or misrepresenting a state of affairs (such saying that you have never been disbarred from doing federal contracts by changing your company’s name). A nondisclosure is essentially misrepresentation through silence—when someone neglects to disclose an important fact he had a duty to disclose about the deal. Standard protections against misrepresentation and nondisclosure claims consist of including specific contract terms to address prior representations; however, these must be extremely carefully drafted to have any legal effect. Contracts can be found unenforceable on grounds of public policy not only to protect one of the parties involved, but also because what the contract represents could pose a threat to society as a whole. For example, a court will never enforce a contract promoting something already against state or federal law or an agreement that offends the “public sensibilities.” Any contract that would permit a party to perform a service that he is not statutorily licensed to do would also be unenforceable. If a court does find the contract unenforceable, and the contract permits it, the court may choose just to rewrite the unenforceable term. In some cases, a contract is deemed unenforceable because it would be impossible or impracticable to carry out its terms. These are usually cases when some unforeseen event, such as a natural disaster, occurs before the contract is carried out and makes performing the contract much more difficult or expensive than the parties originally anticipated. Standard protections against an impossibility claim involve removing the “unforeseen” nature of the claim and assigning that risk to the other party to the contract. For example, many contracts specifically state whether acts of God or interference by third parties are a defense for non-performance. Payment Obligations – Specify who pays whom, when the payments must be made, and the conditions for making payments. Money is almost always a contentious issue, so this part should be very detailed, and it should include the specific circumstances that constitute a breach of the contract. If you’re going to pay in installments or only when work is completed to your satisfaction, say so and list dates, times, and requirements. Include the method of payment as well. While some people might be okay with a business check or business charge card, others might want a cashier’s check or a wire transfer. What happens when a breach occurs? 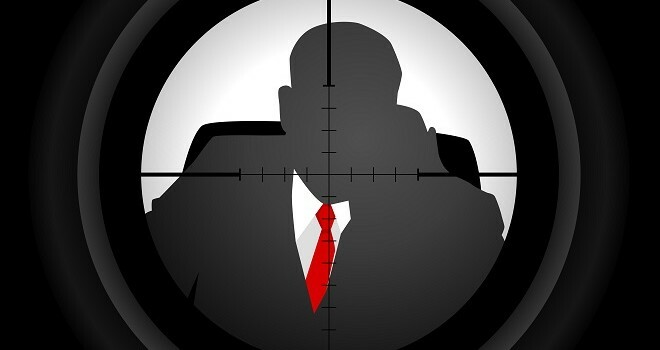 When certain breaches occur, the other party has the option to terminate the contract without being on the hook legally for his own breach. 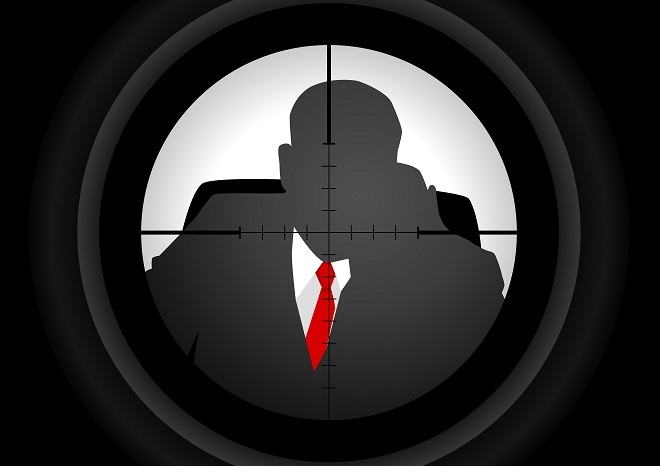 In other situations, if the breach is not so serious, the other party can recover his damages from the breach, but he can’t terminate the contract. The court can sort out these circumstances if a lawsuit ensues, but it makes more sense to set these out in the contract so that the parties know the consequences of their behavior ahead of time. For example, serious breaches that give the other party the right to terminate the contract might be missing a certain number of payments or failing to make a critical delivery. Anticipation of changed circumstances. The contract should assign the risk of any anticipated circumstances that might affect the contract. These might include the destruction of the property that is the subject of the contract, bankruptcy of a party, interference by third parties, and even acts of God. The contract should state who bears the loss caused by these circumstances in the event they occur, and whether the occurrence of these excuses performance of the contract. Resolving disputes. If you want to receive written notice of a breach and have time to correct it before the other party files a lawsuit, specify those terms in the contract. Or, if you want to handle any disputes through arbitration or mediation instead of going to court, specify those terms as well. The contract should also state what state’s laws apply, and what county any lawsuit must be filed in should a dispute arise. 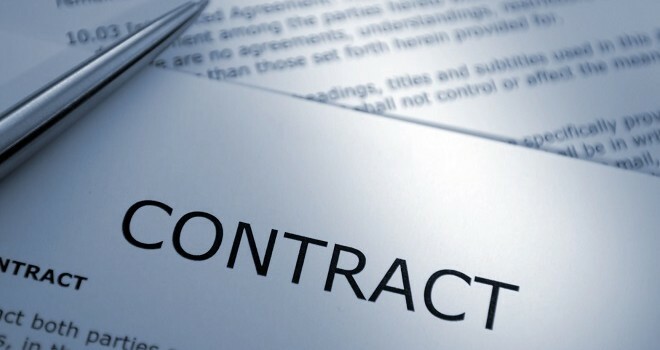 Vince Fudzie– the blogger’s Reality Bite: This is some basic contract information but it is imperative that you understand it, whether you are a subcontractor or general contractor. After all, we are in the contracting business, which means there will be many contracts you will have to enter into if you are successful. The issues that Sarita brings up about misrepresentation and non-disclosure can be extremely detrimental to subcontractors as well as adversely affecting general contractors. Recently, we had a subcontractor with a $1.5 million contract who made significant misrepresentation that allowed us to terminate his subcontract and legally not pay him for work that he thought he had performed.